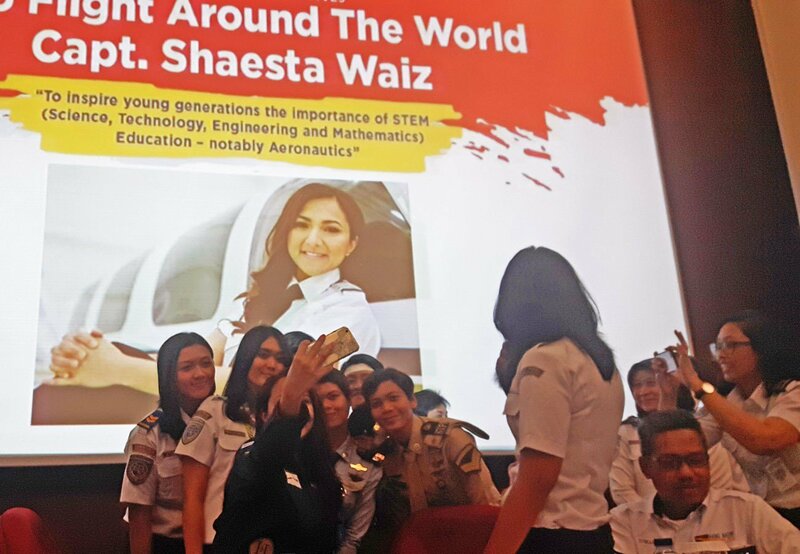 Shaesta Waiz, 29, a refugee-turned pilot who is on a three-month solo flight across the globe, visited Batam, Riau Islands, on Monday where she encouraged more Indonesian women to become pilots. Waiz, an Afghan-American, who was born in a refugee camp, told more than 50 female high school students the story of her life where she managed to overcome all the limitations and challenges as a refugee to become a pilot who has inspired people around the world. “The equality issue for me is no longer challenge. To become the first female civilian pilot in Afghanistan was a struggle,” she said, adding that being a pilot was not a matter of gender. Waiz started her epic flight in a small, single-engine Beechcraft Bonanza A36 plane in Florida in May and is currently in Singapore.